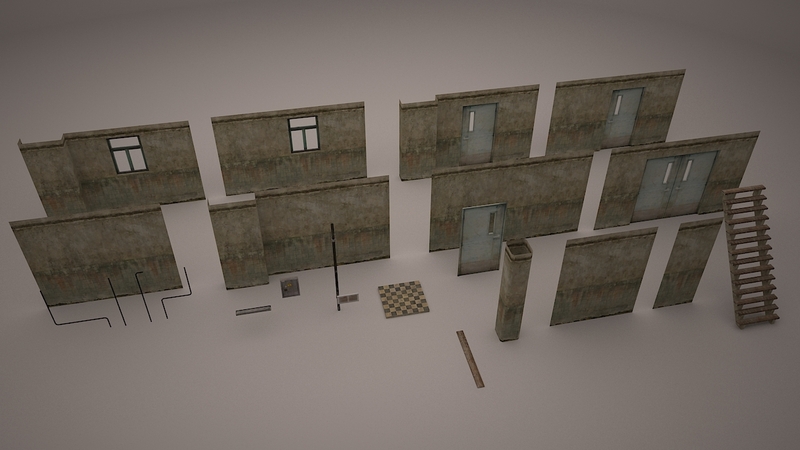 This is a 3D modular model set of walls, pillars etc. to create efficiently and very quickly horror hospital level that anyone desires! Build your game level in any 3D software, attach all the geometry so it’s just one object and just apply ONE texture map and all the level has it’s creativeness in a seconds! All the models are also very low poly and don’t forget to take a look at the Unity3d example level which is also provided. For example the demo level has only 15k tris (7,5k polys). It has all the post-production and nice graphics as seen in the images. PS! Always check if the normals are pointing at the right way when building your level or else if you import the finished level it will show empty walls. Hope you like it and don’t forget to comment. The realistic rendering of the assets setup will not be included. Texture sheet 02 will have black wires, electric box, ceiling light, pipe and vent. All the others have texture sheet 01. 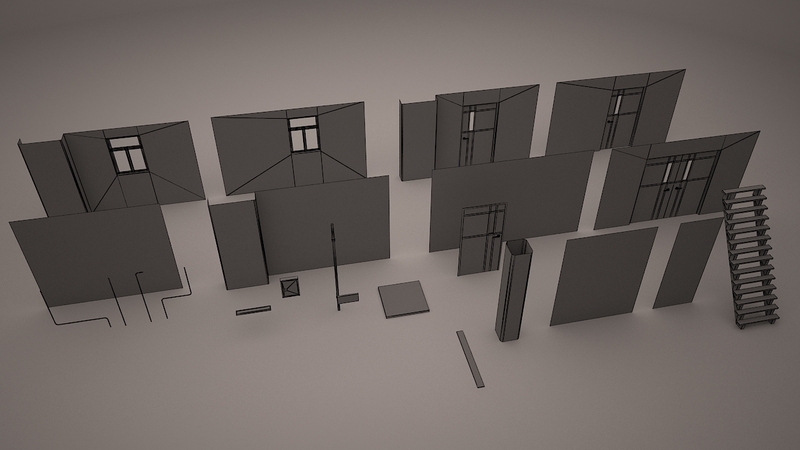 Windows, stairs and doors will have greater poly count than for example walls, because they need more detail so for them the poly count may reach from 100-180 and wall reach from 1-45. Both textures have diffuse, normal and spec map and all the geometry is also available piece by piece, no need to export it by yourself.